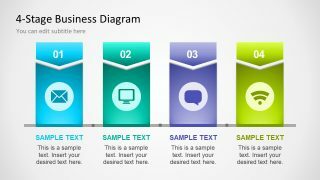 The Multistep Business Diagram Designs is a collection of free PowerPoint template for professional use. Every business presentation requires an effective communication. To convince clients to believe in ability of organization for providing valuable product/service. Also, companies need to interact stakeholders to show their capabilities in achieving certain goals. 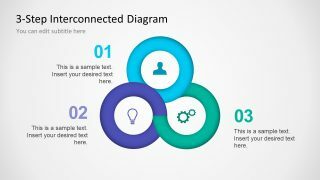 This PowerPoint of business diagram slides help create a connection with audience with interactive designs. The use of graphics and diagrams add weight to ideas and concepts. By illustrating the points with visual aid leaves the mind image which is easy to remember. 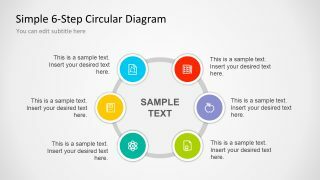 The 4-slide Multistep Business Diagram Designs PowerPoint contain four distinct executive diagrams. 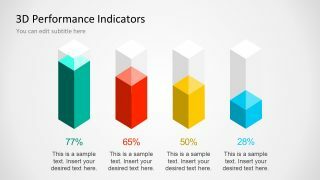 Each image is a set of editable shapes of PowerPoint and impressive infographic icons. There are multiple options of customization in this template. For example, color, resize, moving objects, background, theme and layouts. Further, there are more modification like 3D effects, font, placeholders to personalize this presentation. 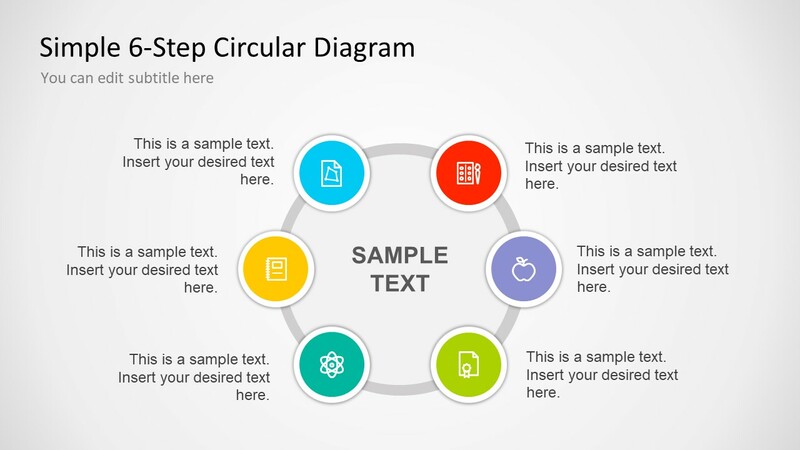 The first slide is a colorful circular 6-step diagram of creative icons. Whereas, the next one contains 3D bars to represent analysis of four entities, such as KPIs. The third slide is a beautiful 3-step process which creatively displays some loop/recurring activities. The amazing color gradient of 4-stage infographic diagram is a simple template. It helps viewers understand the basic idea in seconds. All the PowerPoint shapes have placeholders of title and description text for every step. Moreover, there are slide title and subtitle bars in each. 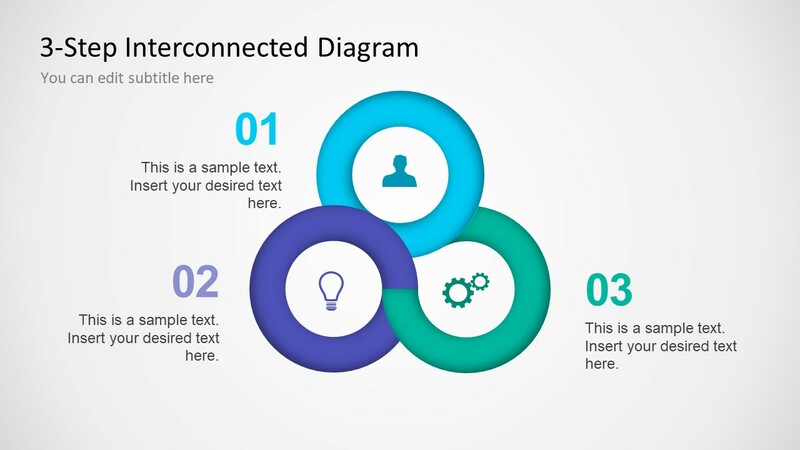 The users can use or copy desire diagram slides in their upcoming business meetings. 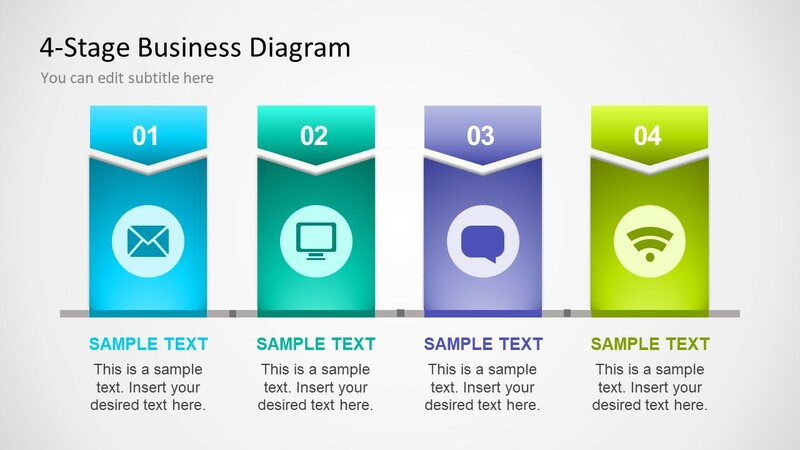 This free PowerPoint of business with multistep diagram design is suitable to present several notions. For instance, methodologies, analysis, market surveys and much more. It aids in presenting work in smart and precise manner. Instead of going through detailed documentation, viewers can benefit from instant knowledge visually. Moreover, it saves time for presenter during editing and for viewers through high-impact graphical illustration.